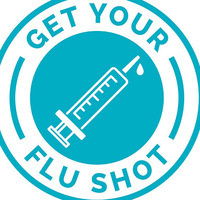 Employee Health is hosting this flu vaccination clinic for University of Rochester Medical Center faculty, staff, students and volunteers—helping to protect our patients and hospital community from influenza throughout the upcoming flu season. Answering a few quick questions to complete consent form. Receive your 2018-19 Flu sticker to affix to your URMC ID—verifying that you've been vaccinated to protect our community and patients this season. Find out more at the URMC Employee FluSource Intranet site.